Gorgeous! 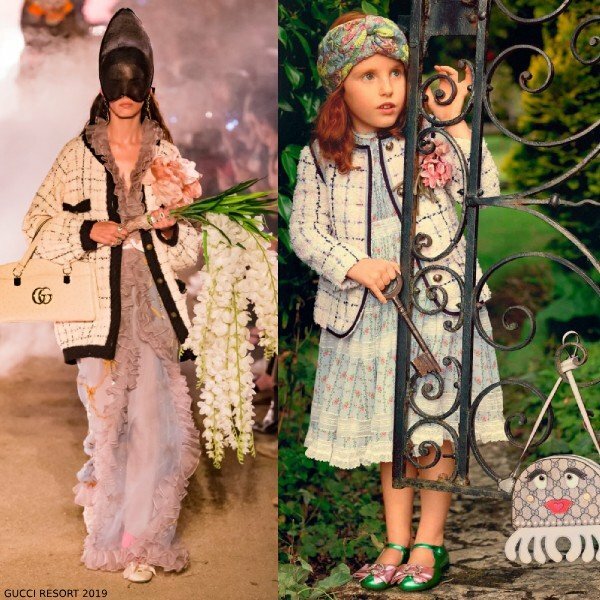 Love this Gucci Girls Mini Me Ivory Boucle Jacket & Blue Rose Print Dress. 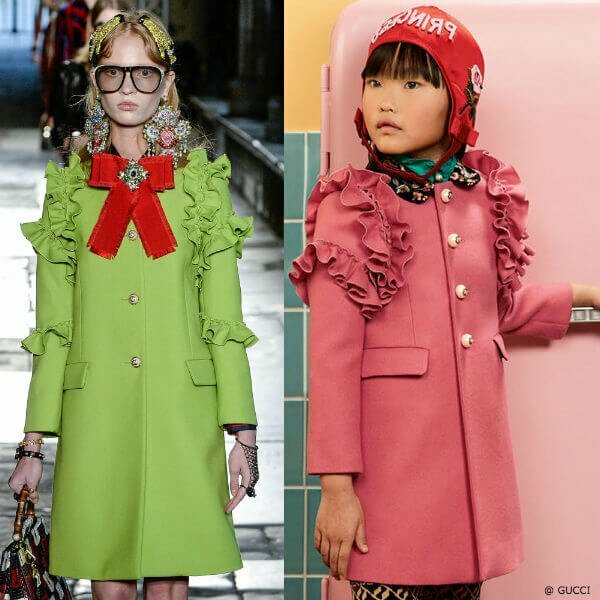 Gorgeous Girls Special Occasion Look Inspired by Gucci Women’s Cruise 2019 Collection. This luxury ivory bouclé jacket for girls is designed with pink, navy blue and pale blue checks. Beautiful details including a fabric flower corsage, bee motif brass buttons, and full lining in a pale pink silky cupro. Looks perfect with a Gucci Girls Creponne Rose Print dress. Inspired by a lavish garden filled with colorful flowers, a delicate mix of roses and rosebuds spreads across the pale blue creponne dress. White lace trims and ruffle details enhance the silhouette’s romantic feel. Complete the look with a pair of Gucci Girls green metallic leather dress shoes with a pink bow.